Born Anthony Carter, he rose to prominence as singer Mighty Gabby. 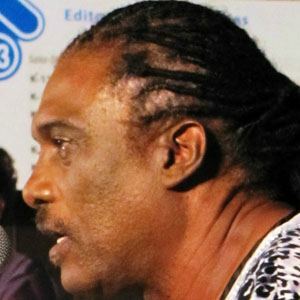 As a Barbadian Calypsonian, he became a Cultural Ambassador for Barbados. In 2011, he performed at the Where in the World is Matt Lauer? concert. He played a role in the 2005 slavery film, 500 Years Later. When he became a Nigerian chief, the head of his community, he was named Omowale, which translates to "Our Son Has Returned." The sixth Prime Minister of his country, David Thompson, has hosted President Barack Obama.